Do you need to get ready for finals? 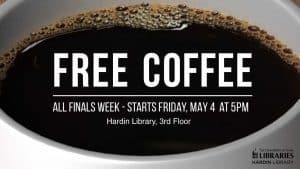 Hardin Library has got you covered, starting on Friday, May 4. 7pm-Midnight – Eat popcorn and study the night away! We are open late. 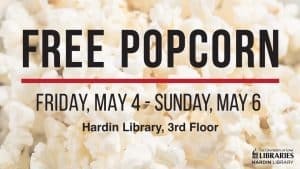 Saturday the library is open 10am-Midnight and the coffee and popcorn continue! The University of Iowa History of Medicine Society 2018 R. Palmer Howard Dinner is Friday, April, 27, 2018. Radisson Hotel, Kinnick Center, 1220 1st Avenue, Coralville. Reception at 6:30 with cash bar. Dinner at 7:00pm, presentation at 8pm. Richard C. Keller, Professor, Department of Medical History and Biotethics, University of Wisconsin give a talk on Viral Markets: Economics, the Environment, and Emerging Disease in the 20th Century. Environmental threats to human health have changed dramatically in the course of the past century. 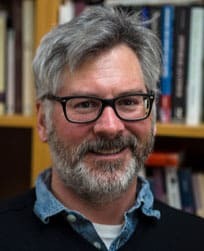 The cases of bubonic plague, HIV/AIDS, and Lyme disease in particular help to illustrate the ways in which changes in human patterns of interaction with the environment–and specifically, the ways in which consumer markets have disrupted unstable ecologies–have opened new epidemiological pathways and presented new challenges to health and medicine in the United States and the wider world. Reservation deadline is April 20, 2018. Payment in advance is required. Reserve online and pay with credit card. Now in the 200th year since its publication, Mary Shelley’s Frankenstein, or, The Modern Prometheus continues to raise questions about humanity, scientific ethics, and the place of the monster in our imaginations. 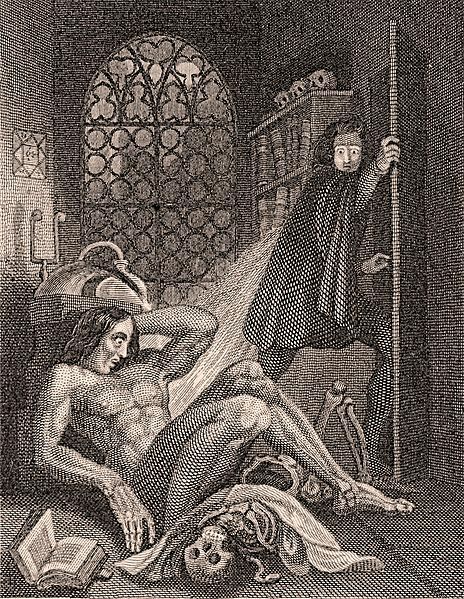 Steel engraving by Theodore Von Holst appears as frontispiece to Frankenstein, 1831 ed. This event features books and manuscripts from the John Martin Rare Book Room and Main Library’s Special Collections, which together trace the creation of the novel, and the scientific world that it grew out of. 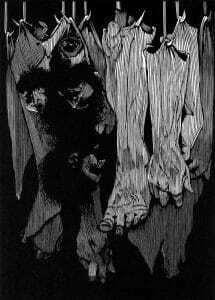 Victors Midnight Labors, woodcut illustration by Barry Moser. For sale at R. Michelson Galleries. 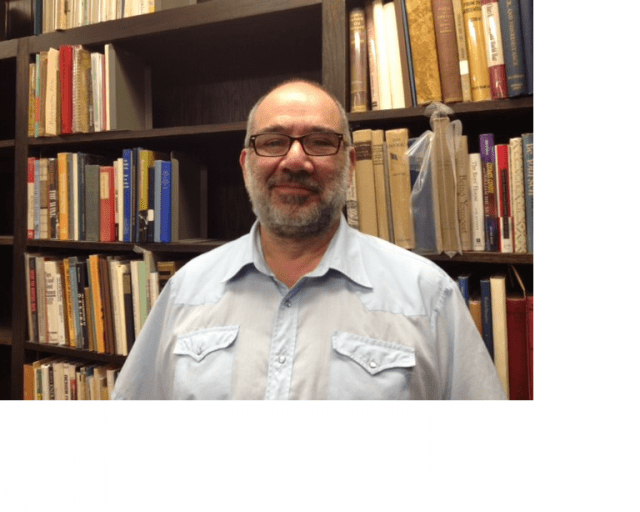 In conjunction with the John Martin Rare Book Room Open House, Peter Balestrieri, Science Fiction and Popular Culture Curator, University of Iowa Libraries, will be giving a talk on curating Frankenstein at The Hardin Library conference room 401, on Thursday, March 22 from 4-5pm. After the talk, you may view parts of our collections at the John Martin Rare Book Room Open House at Hardin Library. As we celebrate the 200th anniversary of the publication of Mary Shelley’s, Frankenstein, it is gratifying to see the wealth of material in University of Iowa Main Library’s Special Collections relating to the creation, publication, and legacy of the book. tion of John Polidori’s, The Vampyre, a letter and an “angry father” essay by Mary Shelley’s father, William Godwin. The collection also includes the autobiography of Frankenstein’s publisher, Lackington, and a number of fine press editions of the novel with illustrations by Barry Moser and others. 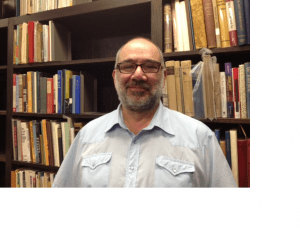 In this talk, Balestrieri will highlight these and other holdings and relate some anecdotes that surround what many critics believe to be the first science fiction novel. 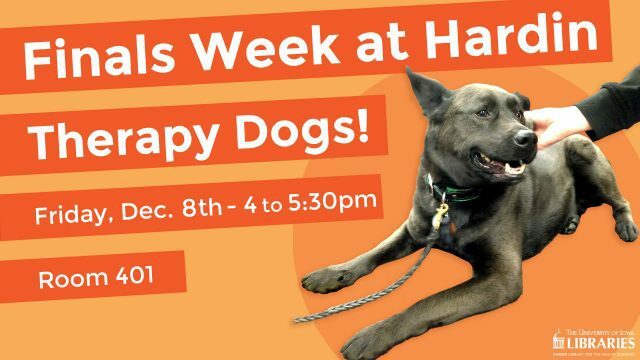 Relax and pet a dog. 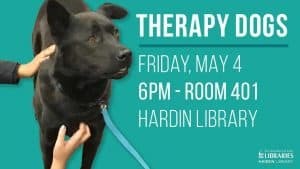 Therapy dogs visit Hardin Library on Friday from 4-5:30. 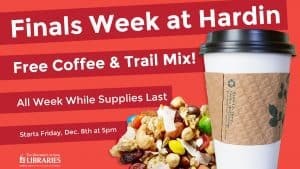 Stay and drink free coffee, eat trail mix, and study. We are open until Midnight Friday and Saturday and offer lots of quiet space to study. 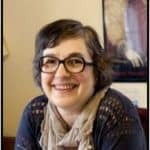 The University of Iowa History of Medicine Society and The Hardin Library for the Health Sciences John Martin Rare Book Room invite you to hear Kara Swanson, J.D., PhD., Professor of Law, Northeastern University for the November, 2017 lecture. 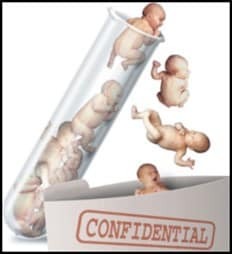 In 1978, Louise Brown, the first baby born as a result of in vitro fertilization, was heralded around the world as the first “test tube” baby. But for decades, doctors had been quietly practicing artificial insemination, the first successful assisted reproductive technology (ART). As the post-WWII baby boom swelled the numbers of would-be parents seeking fertility treatment, the challenges posed by the use of donor gametes spilled into courtrooms and popular culture. Worries about this new form of family formation shaped medical practice and ultimately, the law. Please consider donating online to the University of Iowa History of Medicine Society to sponsor events. Donate online to Hardin Library for the Health Sciences. Individuals with disabilities are encouraged to attend all University of Iowa-sponsored events. 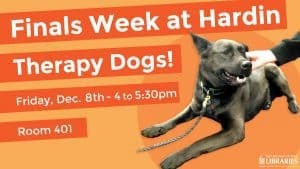 If you are a person with a disability who requires a reasonable accommodation in order to participate in this program please call Janna Lawrence at 319-335-9871. 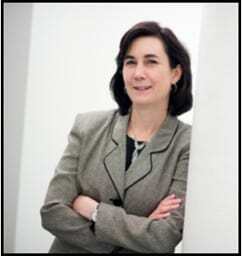 Hardin Library for the Health Sciences and the University of Iowa History of Medicine Society invite you to a lecture by Elizabeth Yale, PhD, History of Science, Harvard University. Early modern physicians built their libraries as dynamic, interactive information resources. They constructed their collections over many years, buying and inheriting books old and new. Alongside their books, they generated and passed on valuable caches of written records, including correspondence and medical casebooks. 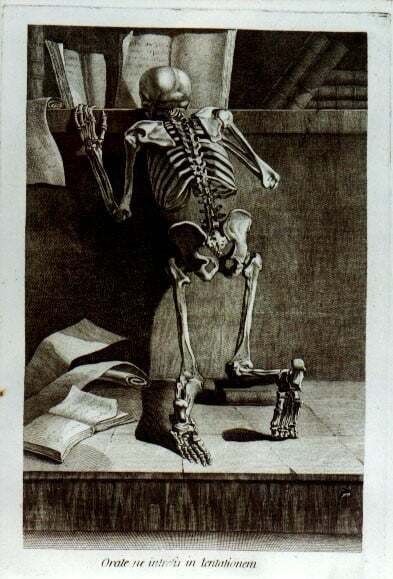 This talk considers physicians as collectors of books and papers: what can their use of these materials tell us not only about their medical practices, but also their varied pursuits as naturalists, editors and authors, scientific reformers, and museum founders. Play trivia and win a prize that really soars! Find out what Hardin librarians can do for you. Have an ORCID ID? Learn why you need one and how to get one. Sponsored by Hardin Library for the Health Sciences. On Monday, August 21st 2017, a solar eclipse will be visible in the United States. During this rare event, the moon passes between the Sun and Earth, and therefore blocks the light of the Sun. In Iowa City, we can observe a partial eclipse. The Sun will be 92% obscured by the Moon. The partial eclipse will begin at 11:46 am CDT, reach maximum eclipse at 1:12 pm, and end at 2:37 pm. On campus from 11:30 AM to 3:00 PM, the Department of Physics & Astronomy, the Sciences Library, and the Museum of Natural History are pleased to offer two eclipse viewing stations: On the Pentacrest and in the courtyard outside the Sciences Library. Each viewing station will be equipped with telescopes and free eclipse glasses. Faculty, staff, and student experts will be on hand to demonstrate safe viewing techniques and answer questions. In case of cloudy skies or if you want to see a total solar eclipse, you can watch live video streams of the eclipse at https://www.nasa.gov/eclipselive. Or stop by the Sciences Library to watch on the big screen! Hardin Library is examining medicine through the eyes of William Shakespeare this month. Currently on display on Hardin’s 3rd floor is the National Library of Medicine traveling exhibit, “And There’s the Humor of It:” Shakespeare and the Four Humors. In 16th century England, four bodily humors were thought to influence physical and mental health. Four temperaments – sanguine, choleric, melancholic, and phlegmatic – were equated with the four humors – blood, bile (or yellow bile), melancholy (or black bile), and blood. The exhibit explores the four humors as they appear in Shakespeare’s Hamlet, The Merchant of Venice, and The Taming of the Shrew. More information on the exhibit can be found online. A presentation exploring the humors, Attracted to Ill Humors, or What Hope for Shakespeare’s Cachexic Couples?, will be hosted by the History of Medicine Society on May 18th, at 5:30 pm in MERF Room 2117. 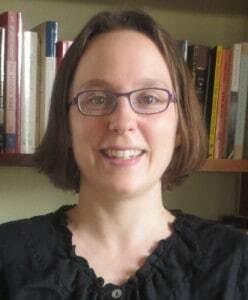 Kirilka Stavrena, Professor of English at Cornell College, will explore the relationships of Hamlet and Ophelia from Hamlet and Katherina and Petruchio from The Taming of the Shrew. A timeline of medical history shows that the 1555 2nd edition of Vesalius’s De humani corporis fabrica was published just nine years before Shakespeare’s birth, and that Harvey’s discovery of blood circulation occurred in 1628, after Shakespeare’s death in 1616. The exhibit also describes doctors found in Shakespeare’s plays and scientists who were his contemporaries. This exhibit was prepared by John Martin Rare Book Room Curator Donna Hirst, with assistance by Rare Book Room student assistant Caroline Hogan. 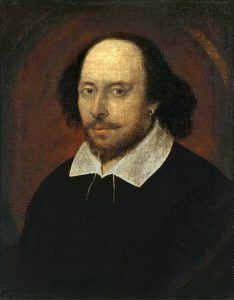 If you would like to read more about Shakespeare and the humors, the National Library of Medicine’s History of Medicine Division has posted a list of readings at https://www.nlm.nih.gov/exhibition/shakespeare/education/additionalresources/index.html.